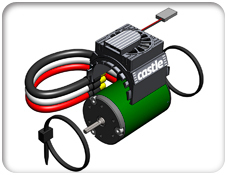 Castle Creations Blower Fan Shroud for 36mm & 1400 Motors Discounts Apply ! CSE011001400 - Castle Creations Blower Fan Shroud for 36mm & 1400 Motors. Keep your motor cool by using this fan.